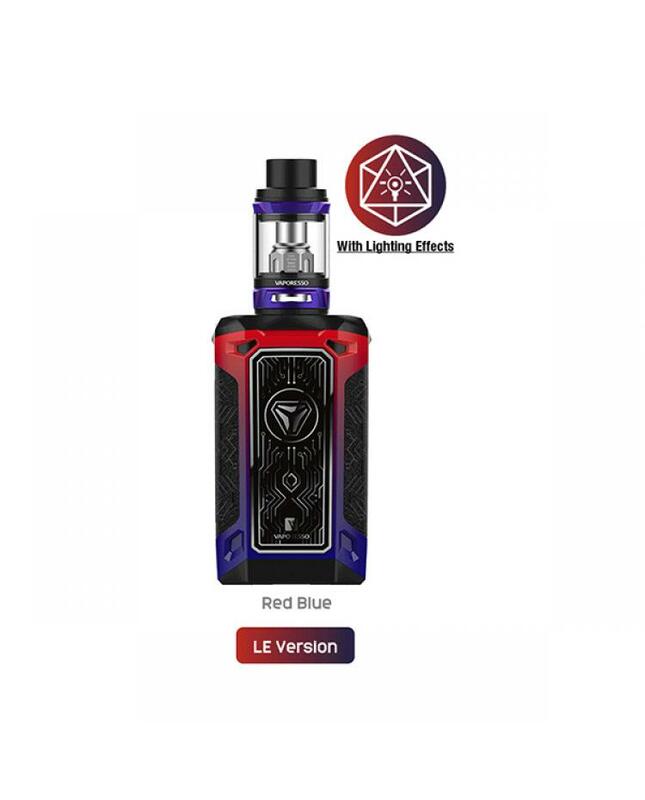 Newest vaporesso switcher 220w vape kit with NRG tank, four fashionable colors available, includes the special LE version. 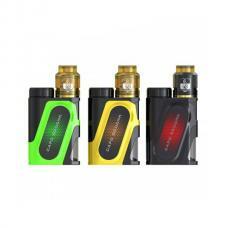 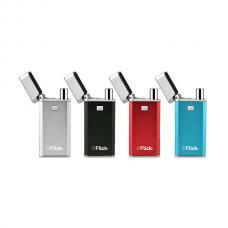 the LE version with fantastic lighting effects will make the vaping shining and fun. 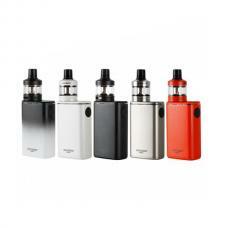 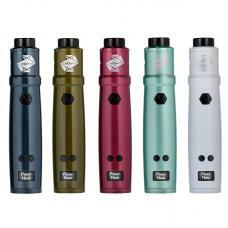 the new kit includes switcher vape mod and NRG tank. 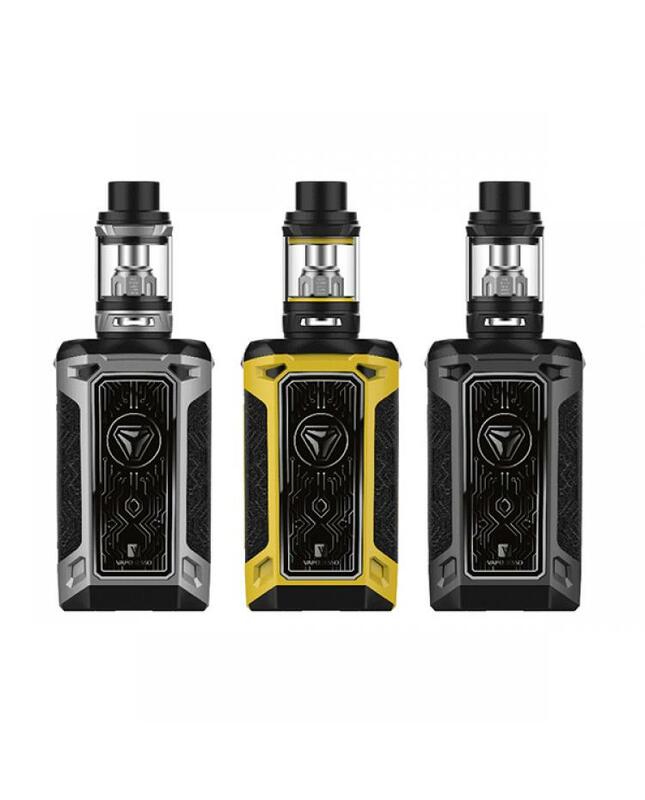 new vaporesso vape mod made of high quality zinc alloy material, revolutionary case replaceable design, vapers can order the extra different fashionable colors cases. 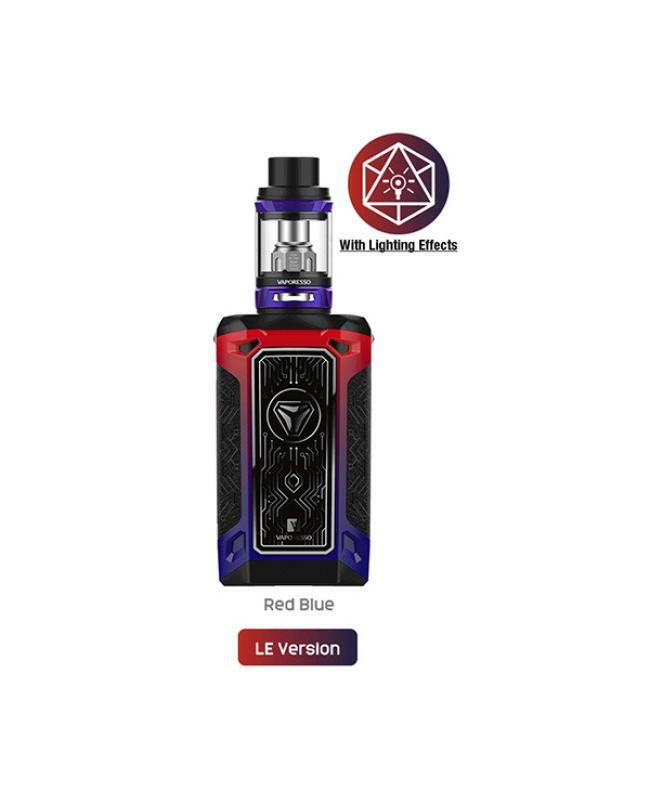 the switcher mod with newest OMNI board 2.6 chipsets, features the simplest operation with the newest addition of graphical virtual keys, "unlock" button, puff numbers statics and high power protection function for small power atomizer. 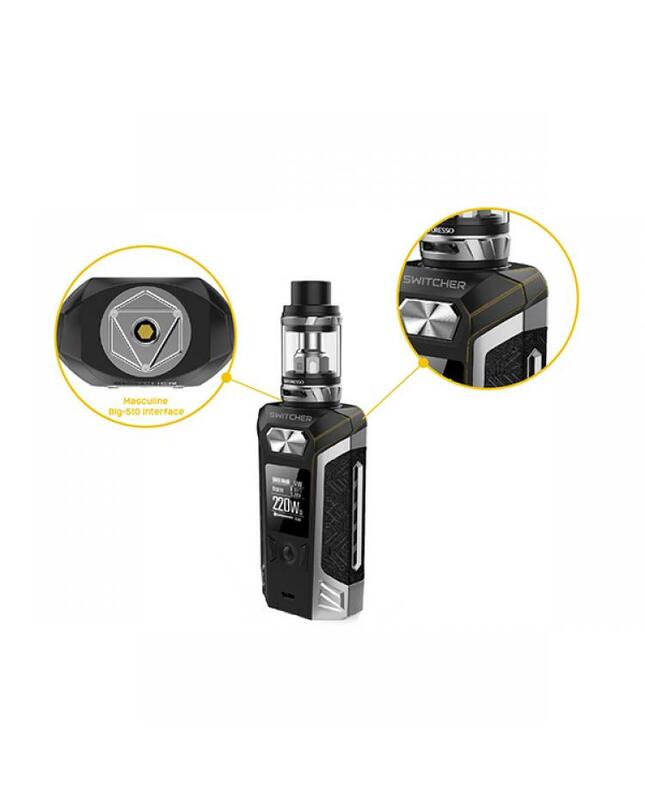 the NRG tank can hold 5ml e juice, TPD version only can hold 2ml e juice, with slide-n-fill design makes refill easier, bottom with large airflow adjustable slots, vapers can adjust the airflow to your preference easily. 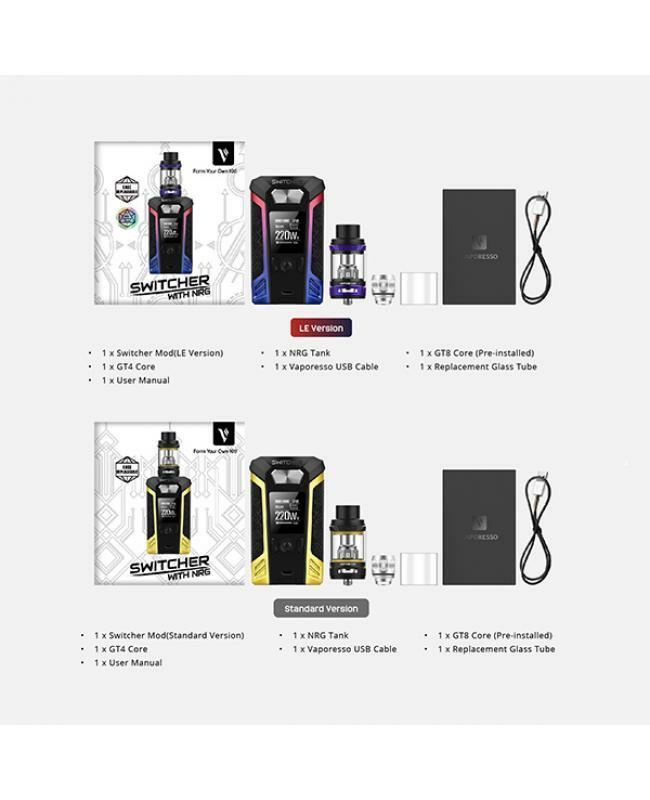 the NRG compatible with GT series cores that comes in the traditional and significant ccell coil will produce a large cloud of vapor and better taste flavor. the new vaporesso vape kit will let the vape get more fun and easy.